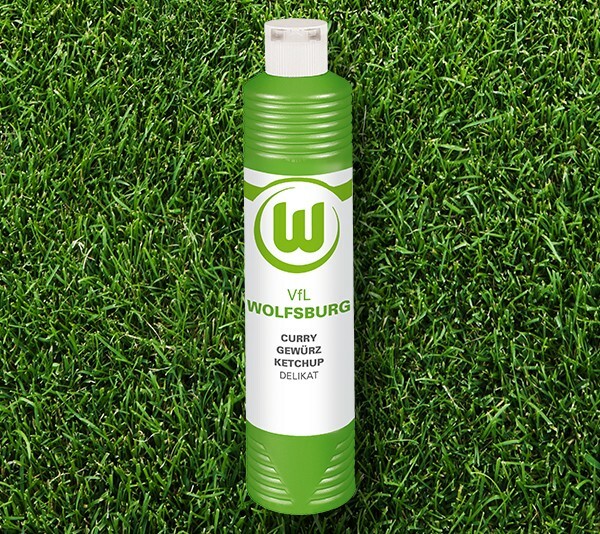 Looking for a gift for that special football loving someone in your life? Well, you've come to the right place if you're looking for ideas on what not to buy. Hoovering tobacco up your nose seems like a fad from a long ago period like the '80s. The 1880's that is. 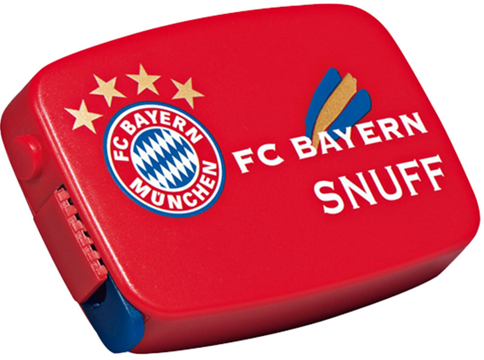 I can honestly say that I've never met anyone who is into snuff, yet apparently a marketing genius at Bayern Munich figured there are enough fans of the club out there that partake in this activity for the club to create a branded case for them. So for about €2.30 Euros you can have a Bayern box that's up to snuff. 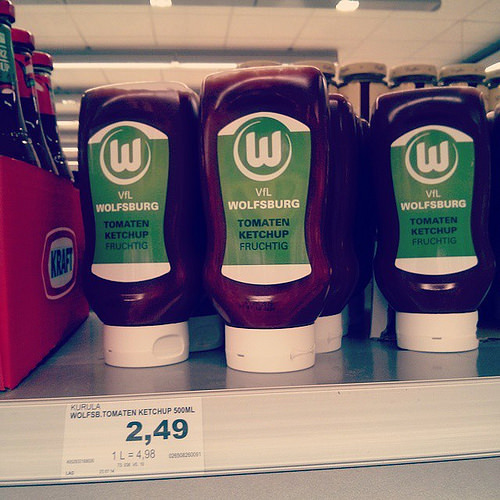 Staying with German sides, Wolfsburg released their own brand of Ketchup a few years back which retailed for €2.49. They also sold a curry flavoured version as well, so you could create a poor man's plate of curry wurst at home presumably. 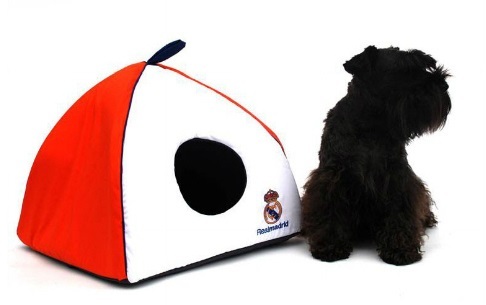 If you get in trouble with your significant other and find yourself sleeping in the dog house, for the cost of $32US, at least it'll be a Real Madrid branded one. If Aston Villa were playing on my front lawn this season I'd want to draw the curtains, so perhaps with that in mind the club sell their own branded curtains for £30. Classy. Ever looked enviously at someone with a sleeve tattoo but knew that due to a lack of cash and/or a low pain tolerance you were never going to get one? 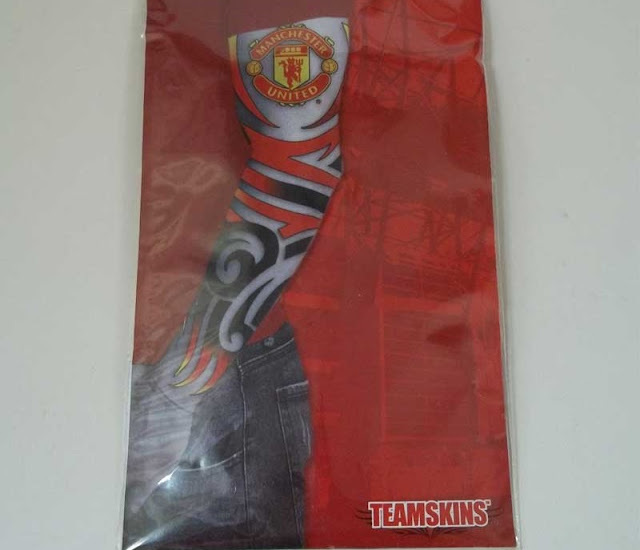 Well for only £2.50 you can stand out in the crowd with Manchester United fake sleeve tattoos! 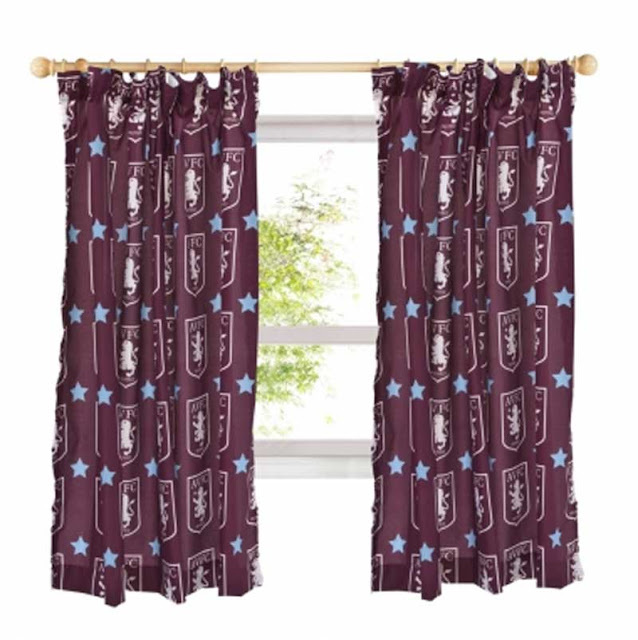 "If Aston Villa were playing on my front lawn this season I'd want to draw the curtains" - LOL!